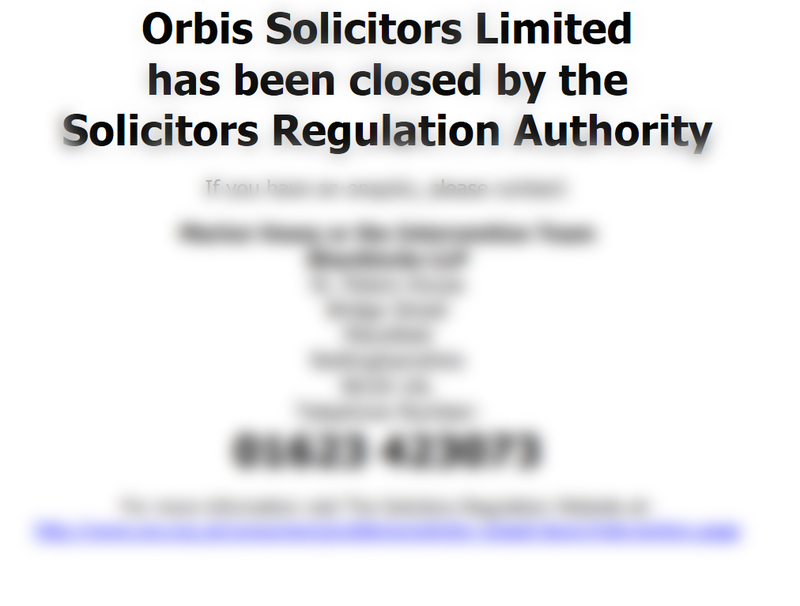 Recently Orbis Solicitors Ltd of Beta House, Alphagate Drive, Manchester, Tameside M34 3SH has been closed down by the Solicitors Regulation Authority for reasons we do not know. 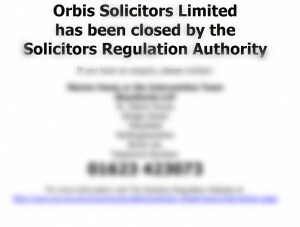 Their website currently show this…..
We believe many people are ‘mid case’ with Orbis Solicitors and are therefore in limbo as what to do. If you are an ex Orbis Customer or are looking for some assistance with your case and require any legal help, please Contact Harvey Roberts Solicitors in Manchester who can assist you with any legal requirements or ongoing cases.